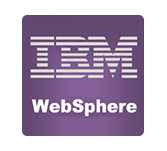 What is IBM WebSphere tutorial? This tutorial is used for application developers and java professionals. This tutorial provides a brief insight into fundamentals of IBM WAS 9.0 and talks about its complete overview. To learn this tutorial one must be familiar with Web services XML schema concepts. Web services tutorials introduce the various tasks that are related to creating and customizing web services for WebSphere Commerce applications.